There are over 70,000 different soil types around the globe with nearly 21,000 of these soils found in the United States. There are many characteristics that differentiate one soil from another; for example, amount of nutrients available, erosion potential and permeability. Physical characteristics are the easiest to observe and by examining only a few, several generalizations can be made about soil. Two important physical characteristics are color and texture. Dark Soils. Dark soils are black, dark gray or dark brown. Rich in organic content and usually very fertile, dark soils have a high degree of aeration (there is plenty of pore space for air). Since water soaks easily into these soils, they are slow to erode. Moderately dark soils. Colors range from brown to yellow-brown in these soils. They have a moderate amount of organic matter and are of medium fertility. They contain an average amount of aeration and are slightly erodible. Light colored soils. Pale brown to yellow colored soils are usually poorest for farms and gardens. They are low in organic matter, fertility and aeration. They are often highly erodible. Many different colors can be present in soil, and depend on the minerals found in the parent material and on the chemical and biological reactions within the soil. 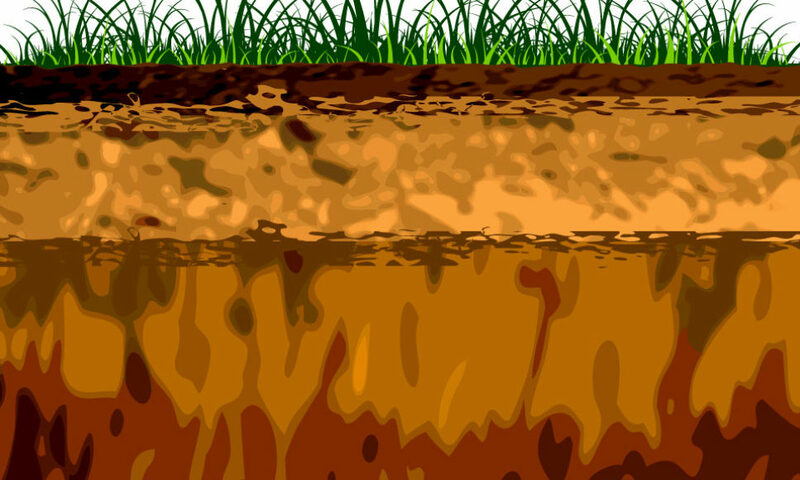 All soil types are made of varying amounts of three main components — silt, sand, and clay — and can therefore be classified as silty, sandy, or clayey soils. Clay is the smallest particle, with less than a 0.002-millimeter diameter. Silt particles are between 0.002 and 0.005-millimeters in diameter, and sand is the largest particle, ranging from 0.05 to 2.0 millimeters. Each soil has a characteristic texture that depends on its main component. For example a sandy clay soil may contain about 50 percent clay, 45 percent sand and 5 percent silt. Clayey soils are fine, but may turn sticky and form a lump when wet. Clay soils are usually dense but can hold much water. Yet the water is held so tightly it is less available for plants. Silty soils are smooth like flour but crumble when wet. They hold water quite well for plants. Sandy soils are loose and crumbly but grittier than the others. They are porous so there is little water for plants. Each soil type is suited for a different use. Some soils, for example, can support the massive weight of building, shopping centers, airports, and highways. Some are best for crops or ranging land, some for wildlife habitat and forests. Soil scientists determine the capabilities of different soils based on texture, structure, depth, slope, organic matter, and chemical composition.